A pleasant smile ornaments the face; a beautiful smile however can even brighten up a dark room. People who smile frequently are considered peaceful and calm. The smile does not only lift up your personality but also creates a positive effect on the people around you. 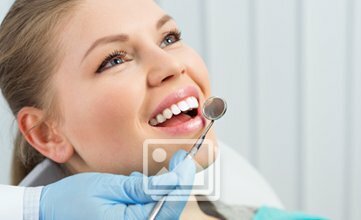 For a beautiful and pleasant smile you need to have healthy teeth. Dental health is not only important for your mouth but also for your body and overall personality. The oral irrigator was devised in 1962 by a dentist and is also known as dental water jet or sometimes a water pick. It is like a home appliance which acts like a shower for your mouth. It is a cleansing solution for those areas of teeth which are hard-to-reach. It clears the plaque and bacteria between the teeth and from the crevices above and below gum line. An oral irrigator has a small reservoir that has to be filled with water. The latest type usually use electricity to function with a switch to set the power at the preferred strength. Most irrigators work at a speed of 1600 pulse per minute and omit ultrasonic pulse in your mouth and the teeth to beat the bacteria and the plaque. Manual – This is portable and hence is very good for those of us who travel often. It is just like a small eye dropper that you squeeze to get a spray that gets rid of food debris and bacteria. It is very good for traveling and does not use electricity. But they do not have a water powered spray function so they may not clean all areas. Electric – This type uses electric to provide the water pressure and removes food debris from the crevices. Most electric models are also portable. They allow deep cleansing of the pockets and around the gum line. They are bulky and are not suitable for travelling. Faucet – The faucet type is plumbed into the indoor supply of water and is controlled by faucet or taps. All of those types of are available in the market and many brands are available. Once you know how to use them, any type can help get healthy teeth and gums. So to ensure an attractive smile spend some money in buying an oral irrigator. A smart selection can be a great help in keeping your smile pleasant and beautiful!